RFID technology allows you to track files like you would using bar-coding but it also has some advanced features that no other system can provide. 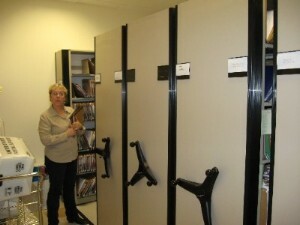 For instance, in a file room or record center; RFID technology allows you to inventory your files without using a line of site bar code reader. 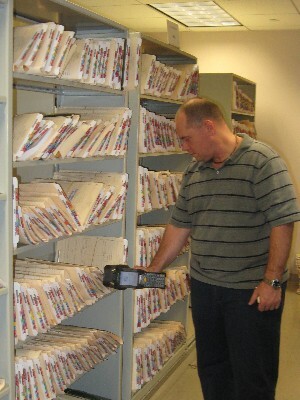 RFID also allows you to locate misfiled records or boxes faster and easily using a portable reader. 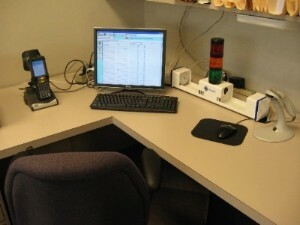 This works by locating the file in the database and programming the portable reader with the corresponding RFID tag that is assigned to a file or box you are looking for. 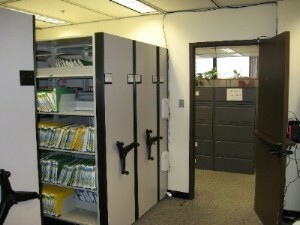 You can then walk through your file system passing the portable reader over the edge of your files or boxes. 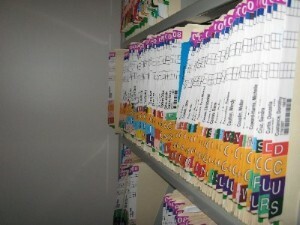 The reader will give off an alarm to let you know when it has located the misfiled file or box.